Just Jingle: I've Gone Rogue! I'm so excited to be Guest Designing for Rogue Redhead Designs for their January release! When Shar asked me to do some design work this month, she seemed to have something up her sleeve... for some reason she thought this fabulous release would suit me. HA!!! For REALS! Not only is that stamp IN this fabulous new plate, BUT, it is actually the NAME of the plate! Just Sayin' is comin' at ya! Hee-hee. That might have had something to do with why she thought it suited me. Just sayin'. I KNOW! RIGHT?!!! Totally fabulously fun! 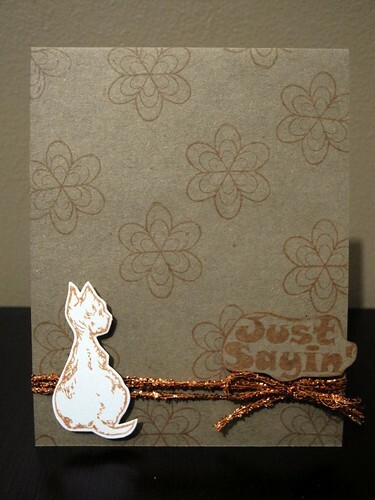 I used the cat stamp, the flower, and the Just Sayin' sentiment on this particular card. All I had to add was a bit of sparkly fiber from May Arts! 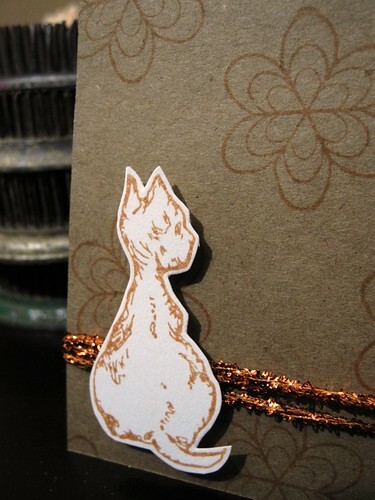 Soo....check out Rogue Redhead Designs if you haven't yet because they really do have some gorgeous stamps! A wonderful variety of styles, too, which is always a lot of fun. Have a happy Monday! Just sayin', I would have totally thought of you for this too ;) How fun! This is a great set, and a perfect card! Nice to know folks are out there, thinking about you! great card and a great set of stamps! Absolutely great! And such good fun! Great stamp set! Love the card! Adorable! And the stamps are really fun, too! This is a fun card and to think the set has your favorite sayin! so cute Jingle~love that shiney trom!!! Just Sayin!!! That is awesome, LOL! Congrats! LOL! Too perfect! Congrats Jingle! Hehehe A stamp plate created just for you! You are the absolutely perfect person for this set- love your card! Glad to have you guesting on the team, love the way you used the stamps. Soooooo very JINGLE!!!! And a cat? OH, YEAH! I am a CAT person all the way! Also love the fiber! You just keep outdoing yourself! What an awesome card- congrats on your guest DT position! 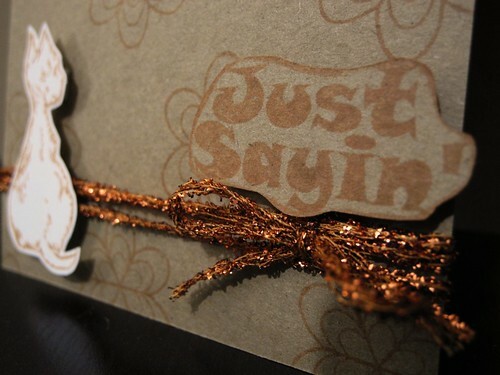 fabulous card, that is so you! If anyone else had made this card it would still have made me think of you! lol.... I wonder what made her think of you!?!?! Great card, Jingle.